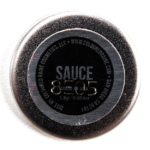 Coloured Raine Sauce Vivid Pigment ($6.99 for 0.06 oz.) 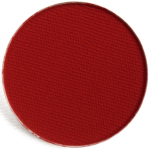 is a deep red with subtle, warm undertones and a matte finish. It had nearly opaque pigmentation in a single layer, which was buildable to full coverage with less than half of a layer on top. The texture was slightly grainy, drier to the touch, but I didn’t have any issues with the actual application (where it matters) as the powder applied evenly and blended out very easily. It wore well for nine hours and stained my skin slightly, though it seemed to wash off the next morning. Colour Pop Hunger (LE, $5.00) is darker (95% similar). Sugarpill Love+ (P, $13.00) is lighter (90% similar). Colour Pop Dynasty (PiP, $5.00) is darker (90% similar). 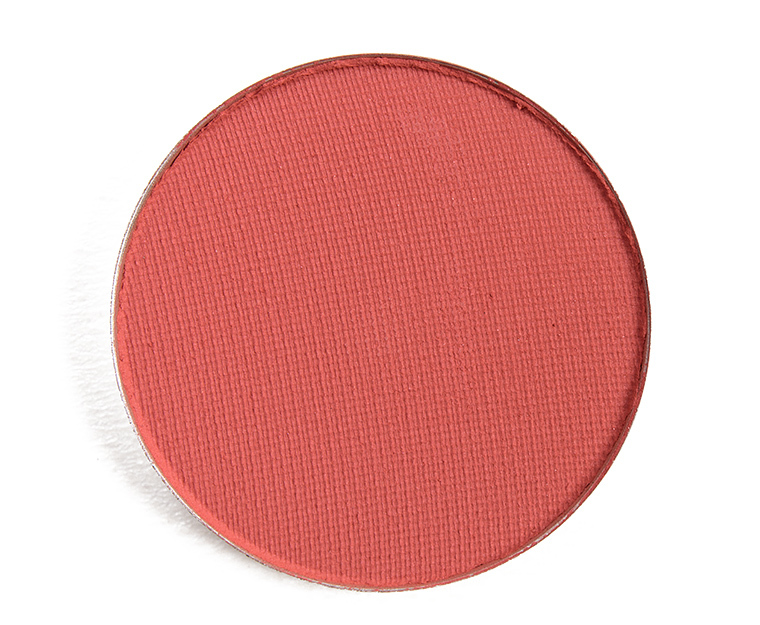 Smashbox Fling (P, ) is warmer (90% similar). Viseart Bright Editorial #9 (P, ) is lighter, brighter, cooler (90% similar). Wet 'n' Wild Three's a Party #2 (DC, $2.29) is warmer (90% similar). Natasha Denona Panjin (132CM) (PiP, ) is more muted (90% similar). Natasha Denona Sakura (191CP) (PiP, ) is more shimmery, lighter, more muted (85% similar). Kat Von D Destroyer (LE, ) is lighter (85% similar). MAC Walking Heartbeats (LE, $17.00) is lighter, cooler (90% similar). The formula is supposed to be "highly pigmented, long-lasting and blendable." 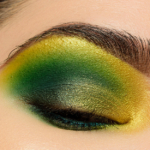 The majority of the shades were pigmented and long-wearing with some being very blendable and others requiring a little more effort, though they were, generally, workable and easy enough to use, particularly give the more matte finish and intense coverage/brightness. A few shades felt drier to the touch, almost grainy, which isn't uncommon in more red/pink-based shades, but this didn't seem to change the application. Most of the shades were lightly to moderately powdery, so I would recommend applying these prior to doing base makeup due to some fallout during application. The caveat is that several shades are "not intended for use around the immediate eye area," and these shades are: Crushin', Splash, Sauce, Party Drip, Bossed Up, Cute, Vibez, Level Up, and Purp Smurf (which makes Neo Blue the only one not on the list). 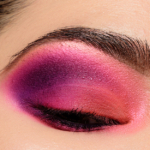 Most products labeled "Pigment" but look like eyeshadows include color additives that are not approved for usage on the eye in the US (see FDA's additive list here) but other regions (typically Canada and the EU) do allow these ingredients on the eye area. 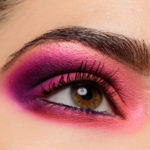 In this instance, the Vivid Pigments can contain Red 6 Lake, Red 7 Lake, and Red 27 Lake that are shown as a "no" for eye usage per FDA. Browse all of our Coloured Raine Vivid Pigment swatches. Coloured Raine Party Drip Vivid Pigment ($6.99 for 0.06 oz.) is a vivid, medium fuchsia pink with strong, cool, blue undertones and a matte finish. It looked more blue-based when applied than it initially appeared in the pan. It had rich color payoff that applied evenly to bare skin and blended out well, though the powder darkened about a shade and a half on my lid, even over primer. The texture was fairly soft, but it was a little on the drier side. This shade lasted for eight and a half hours on me and didn’t seem to stain my skin. MAC Bright Pink (P, $16.00) is warmer (95% similar). 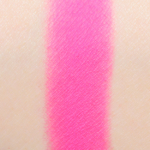 Make Up For Ever S852 Neon Pink (DC, $21.00) is darker (95% similar). Colour Pop Homie (DC, $8.00) is lighter (95% similar). Colour Pop Pie (DC, $8.00) is warmer (90% similar). Sephora I'm Shocked (09) (P, $14.00) is more shimmery, darker (90% similar). Make Up For Ever M853 Neon Pink (P, $17.00) is darker (90% similar). Sephora Tiila (LE, ) is darker, warmer (90% similar). Make Up For Ever B216 (P, $23.00) is more shimmery (90% similar). 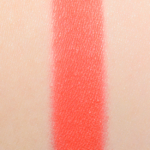 NARS Desire (P, $30.00) is darker, warmer (90% similar). Melt Cosmetics Radioactive (PiP, ) is warmer (90% similar). Coloured Raine Splash Vivid Pigment ($6.99 for 0.06 oz.) 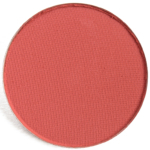 is a rich, medium-dark orange with warm, red undertones and a matte finish. It had opaque color coverage in a single layer, while the consistency was fairly smooth, a touch dry, but it applied evenly to bare skin and blended out well. The color stayed on well for eight and a half hours on me. Colour Pop Slim Fit (LE, ) is lighter, cooler (90% similar). Colour Pop Quick Six (LE, $5.00) is more shimmery, darker, more muted (90% similar). MAC Well-Behaved (LE, $17.00) is warmer (90% similar). Colour Pop Spark (PiP, $5.00) is darker (90% similar). Juvia's Place Sokoto (P, ) is darker (90% similar). Colour Pop Meteorite (P, $5.00) is lighter (90% similar). Colour Pop Cut Outs (P, $5.00) is more muted (90% similar). 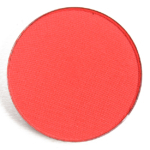 Melt Cosmetics Radon (PiP, ) is lighter (90% similar). Huda Beauty Warm Browns #3 (PiP, ) is more shimmery, darker (85% similar). 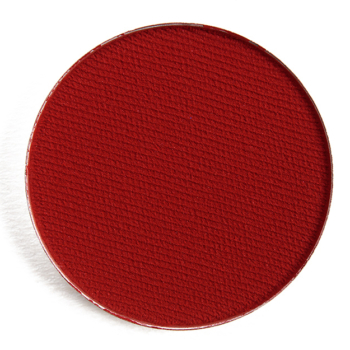 Coloured Raine Kissberry (LE, $6.99) is lighter, warmer (85% similar). 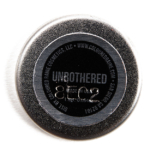 Coloured Raine Unbothered Eyeshadow ($6.99 for 0.06 oz.) 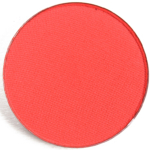 is a muted, medium-dark coral with warm, pink undertones and a mostly matte finish. The color payoff was fantastic, while the texture was soft, smooth, and blendable without being too powdery nor too firmly pressed in the pan. The eyeshadow wore well for eight hours on me before fading noticeably. Colour Pop Flowerboy (P, $5.00) is cooler (95% similar). Melt Cosmetics Scammin' (PiP, ) is lighter, cooler (95% similar). Urban Decay Retro (PiP, $19.00) is lighter (95% similar). Viseart Nectar (PiP, ) is brighter (95% similar). Viseart Liaison (LE, ) is lighter (95% similar). MAC Early Bird (LE, $17.00) is cooler (95% similar). Too Faced Peach Punch (PiP, $16.00) is brighter (95% similar). Anastasia Bloom (LE, $12.00) is cooler (90% similar). Urban Decay Still Shot (PiP, $19.00) is lighter (90% similar). 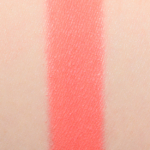 Colour Pop Dear (LE, $5.00) is lighter (90% similar). Coloured Raine Crushin’ Vivid Pigment ($6.99 for 0.06 oz.) 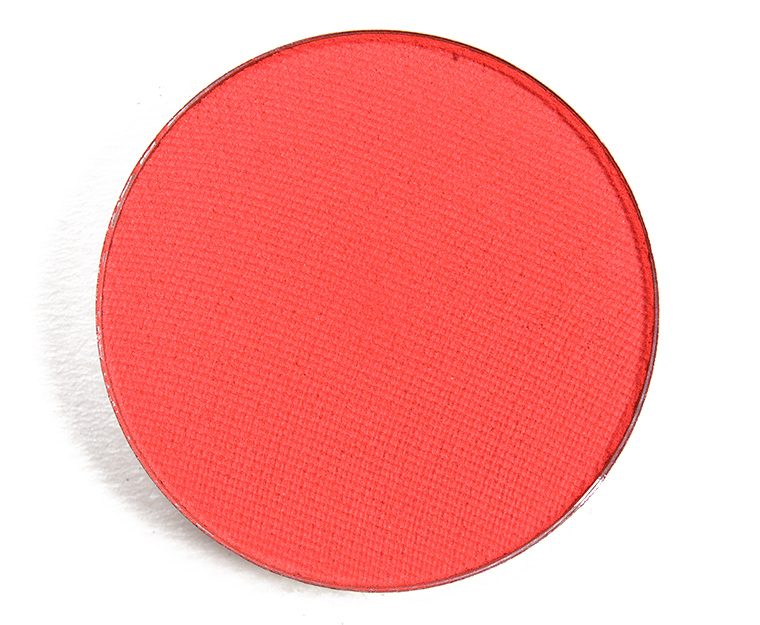 is a bright, medium coral with warm, orange undertones and a matte finish. It had excellent pigmentation with a soft, fairly smooth, but moderately powdery texture. I struggled to get this shade to apply evenly on my skin with full coverage, even when I tried over eyeshadow primer. It was easier and more functional used to diffuse and blend out other shades in my crease rather than as a lid shade. I also noticed it had a tendency to darken a bit on my lid, which seemed to “eat” this shade within seven hours of wear. Viseart Liaison (LE, ) is cooler (95% similar). Make Up For Ever M748 Coral (P, $17.00) is lighter (95% similar). 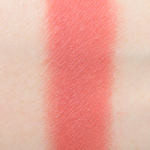 Melt Cosmetics Scammin' (PiP, ) is more muted (95% similar). Anastasia Bloom (LE, $12.00) is darker, cooler (90% similar). MAC Rhea (LE, $21.00) is glossier (90% similar). Urban Decay Retro (PiP, $19.00) is more muted (90% similar). Colour Pop Ex (LE, $5.00) is lighter (90% similar). 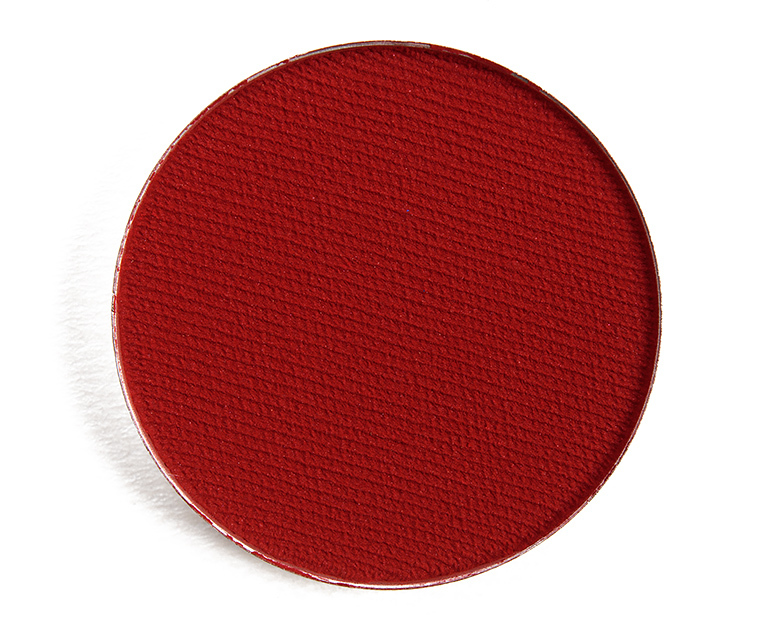 Melt Cosmetics Radon (PiP, ) is darker (90% similar). Coloured Raine Lemon Drop Eyeshadow ($6.99 for 0.06 oz.) is a bright, medium yellow with warm undertones and a matte finish. It had rich pigmentation with a soft, moderately powdery consistency that had a tendency to sheer out and go on a bit unevenly, especially as the powder darkened a bit after a few minutes on my lid. I noticed it still darkened noticeably when I used it over a primer, too. The eyeshadow stayed on well for seven hours on me before it started to look patchy. Like Crushin’, it seemed better to use this in the crease and blended out where opacity wasn’t quite as much of a concern and there were less visible texture/lines (compared to my lid). Natasha Denona Sol (134CM) (PiP, ) is darker (95% similar). Sugarpill Buttercupcake (P, $13.00) is darker, more muted (90% similar). 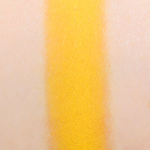 MAC Chrome Yellow (P, $17.00) is lighter (95% similar). Illamasqua Hype (P, ) is darker (95% similar). 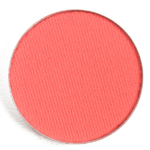 Colour Pop Take Flight (P, $5.00) is lighter (95% similar). 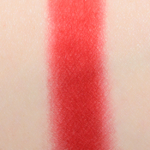 Colour Pop Cleo Amore (LE, $5.00) is more muted, warmer (95% similar). NARS Douro (P, $19.00) is lighter, cooler (90% similar). MAC Goldenrod (DC, $17.00) is darker (90% similar). Viseart Bright Editorial #7 (P, ) is brighter (90% similar). 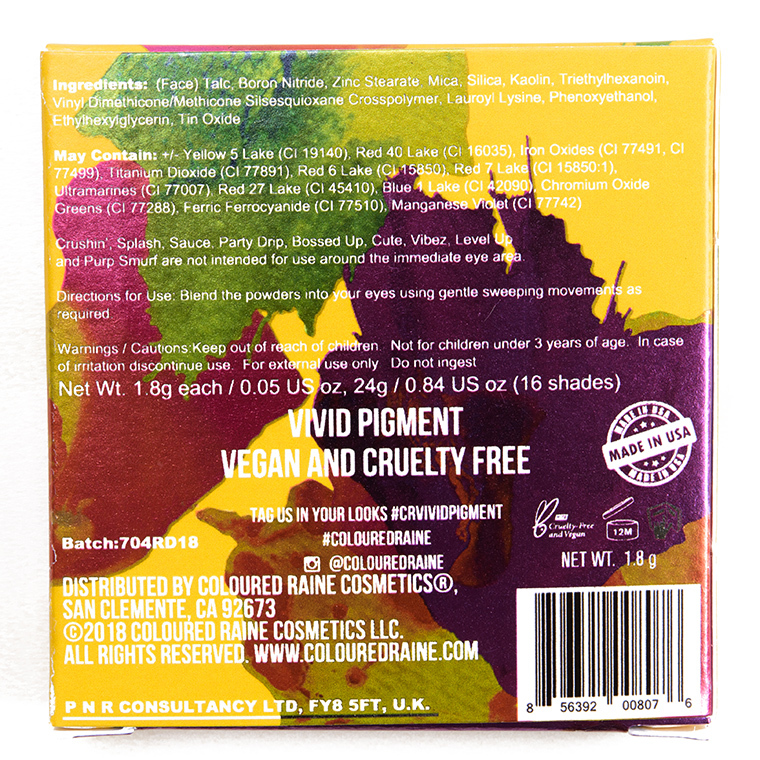 Coloured Raine Vivid Pigment $6.99/0.064 OZ. These look fantastic. Can’t wait to play with them when my order arrives tomorrow. Saving your look details to use as a guide to recreate your gorgeous looks. Hope you love ’em, Yolanda! Hi, the swatches are so pretty! How do these shadows compare to sugarpill shadows? Which are more pigmented? I’ve been looking into purchasing some colorful shadows, but I can only afford but so many. These look promising. I hope the purples, greens, and blues are as good. Did you check out Sydney Grace? Idk if they’re any good, but there’s a blue/green set on preorder that looks terrific. Phyrra had the brand listed under affordable indies. I haven’t tried them yet. Thanks! Oh what I could do with Sauce and Unbothered incorporated with shades already existing within my stash! I really love both of these shades, along with Lemon Drop. Thank goodness they aren’t too pricey! I’m in trouble with theses shades… i’ve been avoiding getting single shadows for awhile but these could round out my sugarpill and inglorious eyeshadows. I do 😉 mostly for cosplay purposes but I like to have more in-between shades. Also, I meant Inglot… silly AutoCorrect on the new phone. 😛 But I own a lot of their bright shades. Autocorrect burns me at least once a day, lol! Sauce looks INCREDIBLE on you. That look is the bomb dot com. 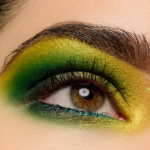 Coloured Raine has done a terrific job with their vivid brights – really pigmented and vibrant. Stunning eye looks Christine too. These are the shades that I figured would be great. I’m hoping the blues, greens, & purples will be just as dazzling. Yeah, blues/purples tend to be the struggle, though less so when they use the non-eye-safe color additives. I so love those colors but I sure wish someone could make nice oranges and reds without carmine in them. I’m totally allergic to it and have to pass on so many of the colors I really love. I wonder if any indie brands have them! Pretty sure I need Sauce in my life.